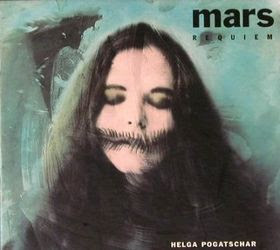 Dark experimental electronics with operatic vocals and strong theatrical feeling.Sometimes reminds me of Lustmord's late 80s releases mixed with Diamanda Gallas-ish voice compositions.Helga Pogatschar is actually a theatre / movie music composer. really enjoyed this one, especially angus dei.. what an amazing track!! hehehehe, this is the first album cover on the site that startled me when I pulled it up.